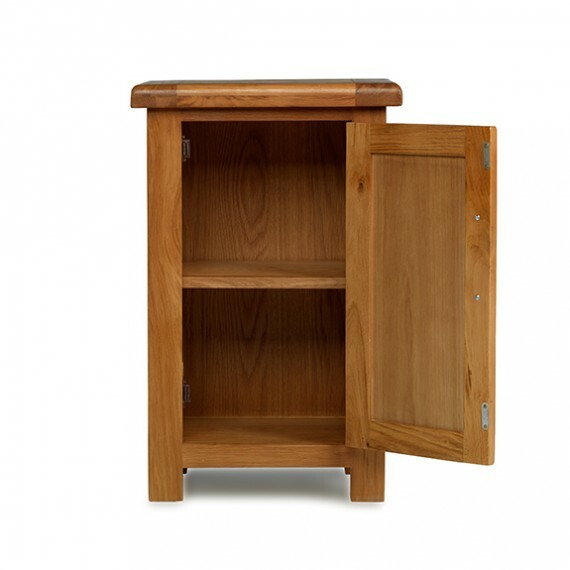 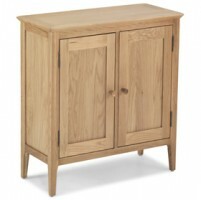 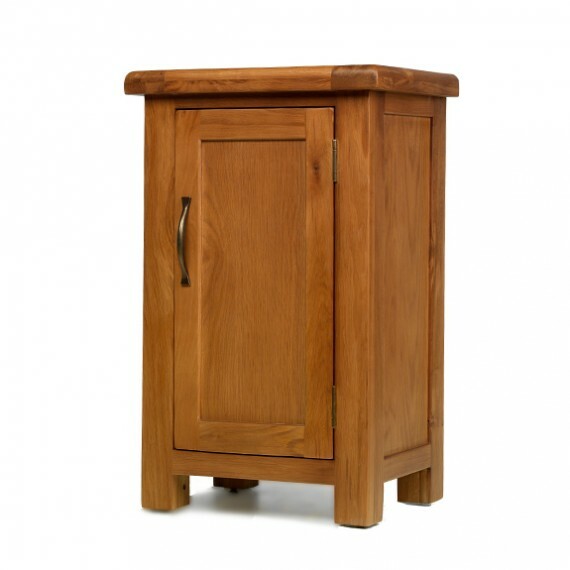 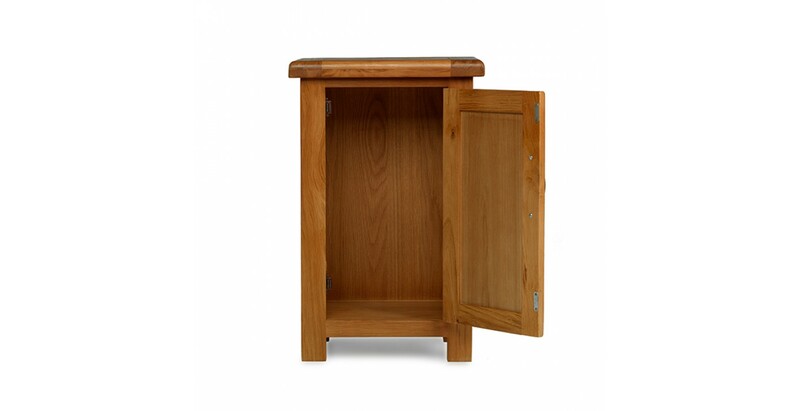 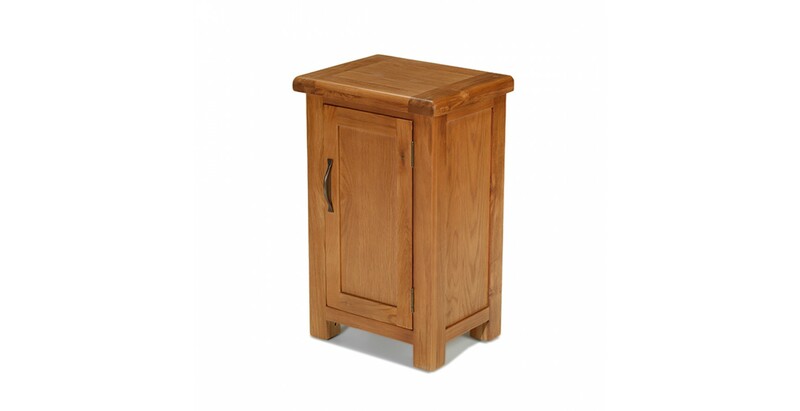 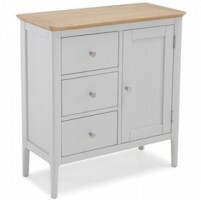 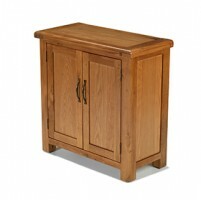 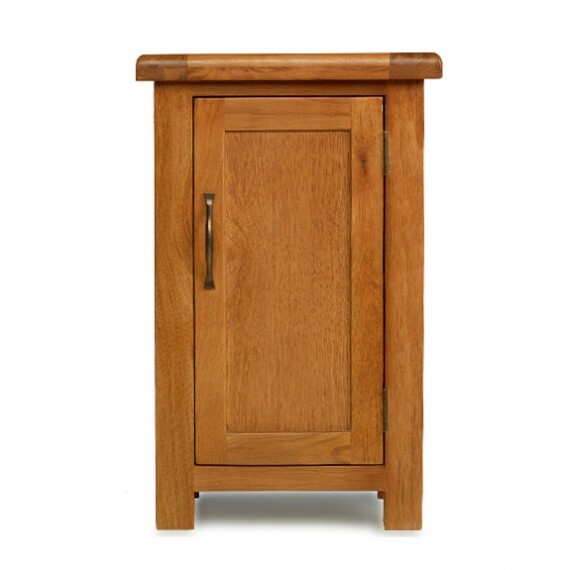 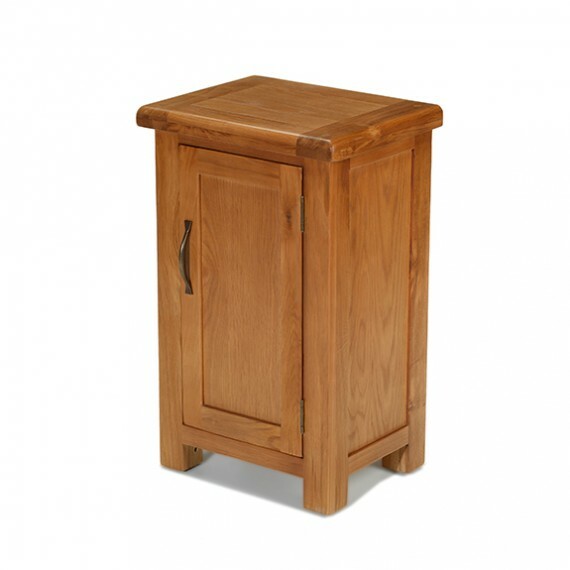 Ideal for all over the home wherever you need extra storage space, this petite oak cabinet has the added advantage of looking rather lovely too. 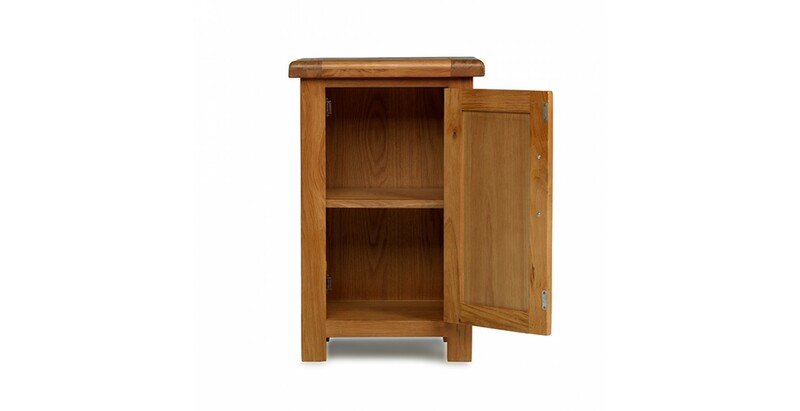 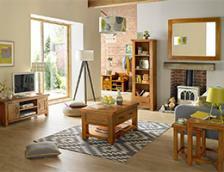 And because it’s compact, it will slot neatly into smaller spaces. 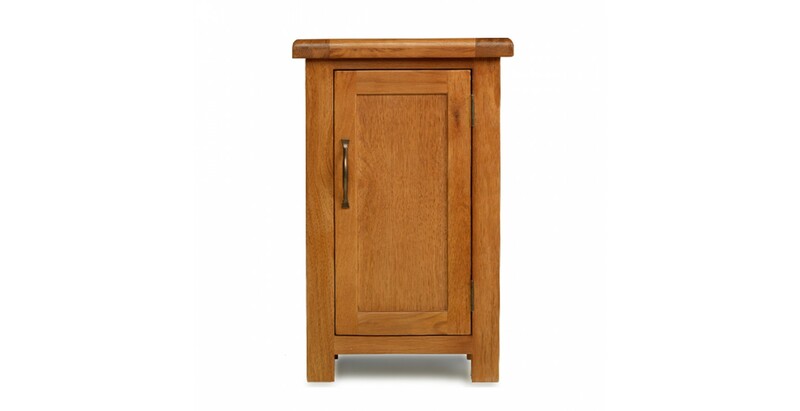 Behind the door with its simple, brass-effect handle is a roomy cupboard with a removable shelf should you need to store taller items. 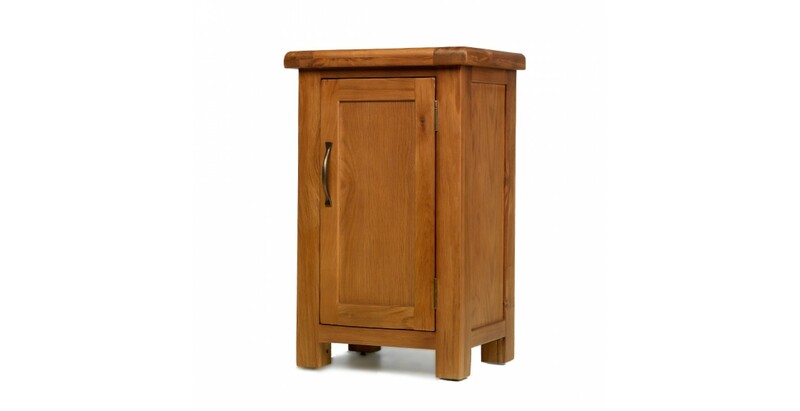 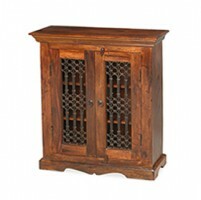 Crafted from oak, it’s simply designed along clean lines to give it timeless appeal and has been given a Wax Lacquer Finish so that the natural warmth and beauty of this small wooden cabinet can be enjoyed at its uniquely grained best.